New products for the Hollywood elite are coming to Michael and Michael. Who hasn’t envied Gisele Bundchen for many reasons, especially her bangin’ bod? But let’s face it, EVERY part of her is enviable; even her long, luscious locks. You may not be able to score her stems (who can?) but you can get tresses like hers by using the new Oribe Hair Care at Michael and Michael salon. Celebrity stylist Oribe Canales, who has styled the likes of Gisele, Jennifer Lopez, Kate Moss and Cameron Diaz, has brought his expertise to Chicago – in the form of his line of upscale hair care products, Oribe Hair Care. The line, crafted for “the glamorous and hair-obsessed” was created for those who know that the perfectly coifed ‘do is an outfit’s ultimate accessory. Before the launch, each product was extensively tested in salons and behind the dressing room doors of Hollywood’s finest - becoming insider favorites even before they hit the market. The result is a collection of shampoos, conditioners and masques that get the job done; think gels that condition, oils that hold, sprays that don’t flake or clump, and skincare-grade shampoos that prep hair to take on the day- all lightly scented with specially commissioned French perfumes. Ooolala. 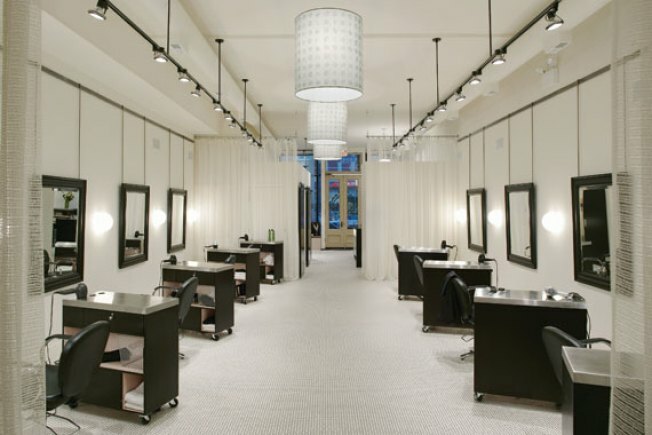 Visit Michael and Michael Salon at 365 West Chicago Ave, or www.michaelandmichael.com.